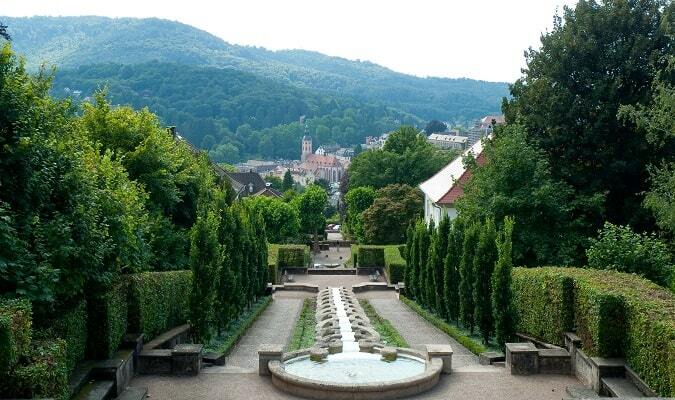 Baden-Baden is a city in Germany located in the state of Baden-Württemberg, on the banks of the Black Forest. 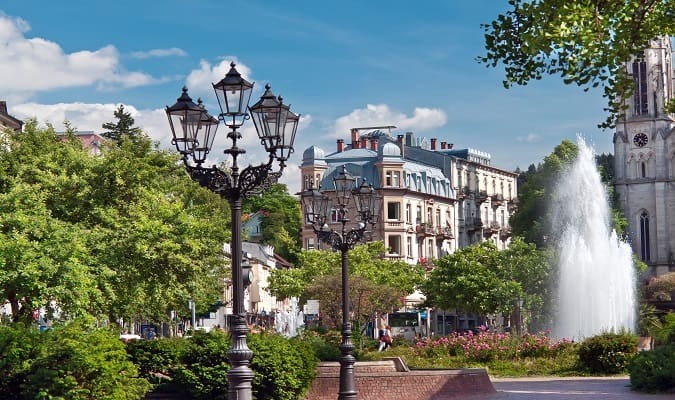 It is known worldwide for its thermal baths and spas. The old town of Baden-Baden is the perfect way to start exploring the city. It has many shops and cafés. The Stiftskirche (Collegiate Church) is located in the old town area. 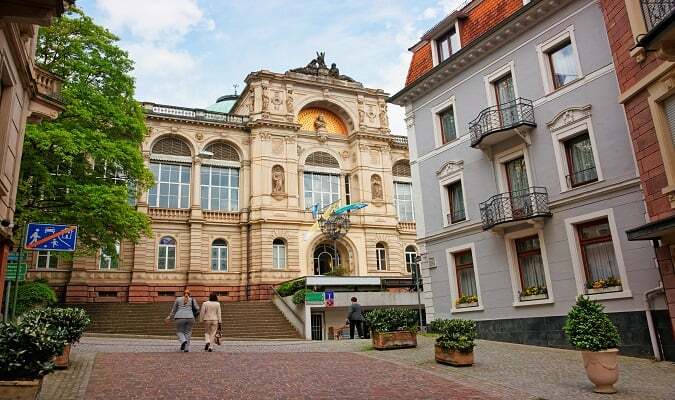 The Kurhaus Casino Baden-Baden is located in the heart of Baden-Baden. The Baden-Baden Kurhaus colonnades lead from the Kurhaus to the city centre. There are more than 20 shops in the Kurhaus colonnades. The Lichtentaler Allee has almost 2,5 of extension. It is a nice place for a walk. The Caracalla Spa in the heart of town offers wellness in paradise. The Friedrichsbad located in the old town of Baden-Baden is a temple to the art of bathing. It combines the Roman and Irish bathing traditions. 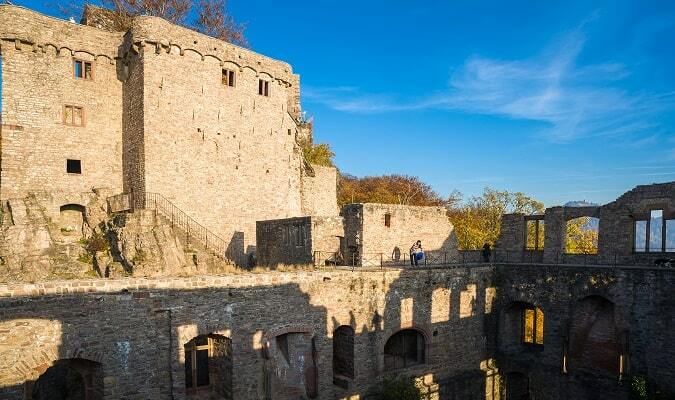 The Hohenbaden Castle was built in 1102. 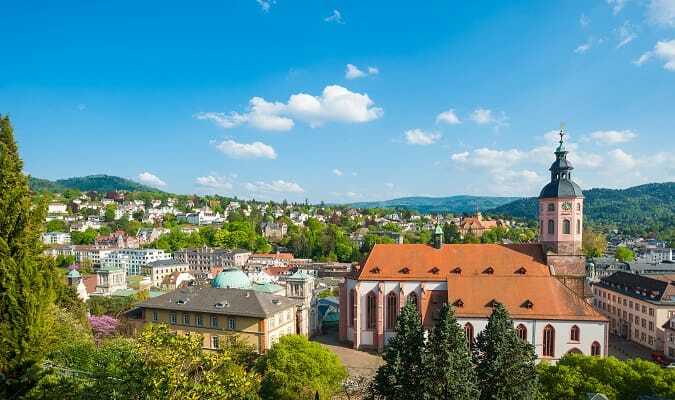 It offers an amazing view of Baden-Baden and the Black Forest. The ornamental garden of Paradies stretches over three streets. It has a central feature of a cascading waterfall. From the Paradiest the view of the town center is beautiful. The Russian Church is located 1.3 km from the Stiftskirche. Its golden dome is the hallmark of this church with Byzantine style. It was built between 1880 and 1882. The Confiserie Café König is a tradicional confiserie located in the Lichtentaler street. You will find many types of cakes and handmade chocolates. The Radisson Blu Baden-Baden is located in the city center. It has 162 rooms with classic and elegant decor. Each room is equipped with a TV, minibar, safe. 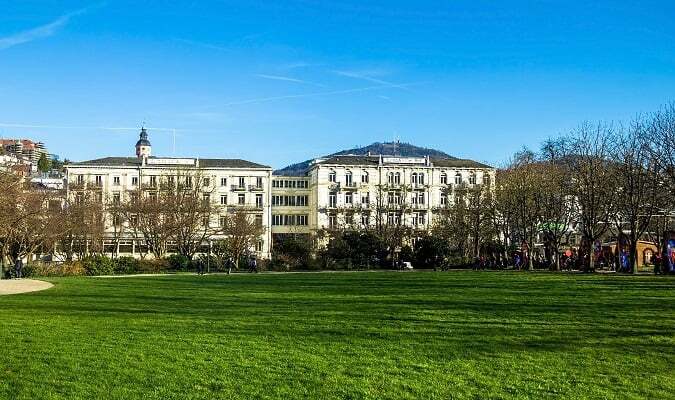 The Hotel am Sophienpark Baden-Baden is located in the Sophienpark. Each room includes a TV. Some rooms feature a sitting area to relax. 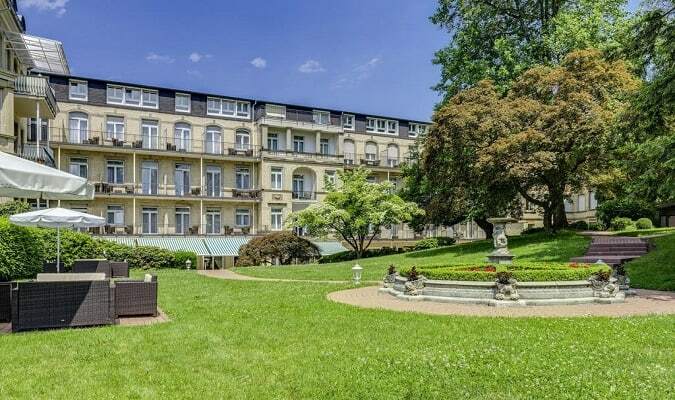 The Dorint Maison Messmer Baden-Baden is located close to the Kurhaus. Each room is equipped with a TV, minibar and safe. The hotel has a sauna, spa, fitness center and a swimming pool. In Baden-Baden there are a variety of shops, boutiques and shopping galleries. Walk along the fashion streets of Sophienstrasse and Lichtentaler. Or by the Kurhaus colonnade and see the small shops. 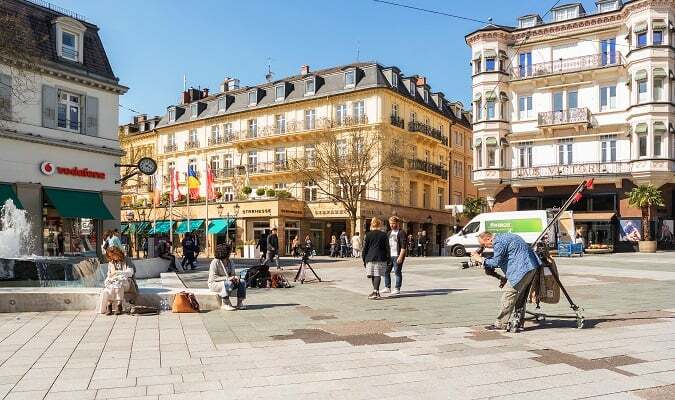 The Sophienstrasse is a shopping street with many luxury brands in Baden-Baden. 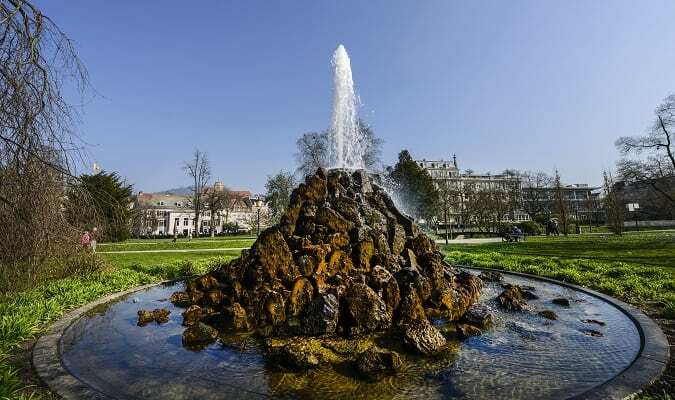 The Antora Selection Baden Baden is located in the elegant Lichtentaler street. Brands: Valentino, Alberta Ferretti, Michael Kors, Balenciaga, Chloé, Jimmy Choo, Aquazzura. Wagener Galeria is a modern mall located in the city center. Brands: Lascana, Dielmann, Müller, Tommy Hilfiger. Baden-Baden has easy train access from various cities in Germany. Famous cities nearby: Frankfurt, Stuttgart, Heidelberg, Mannheim, Freiburg.